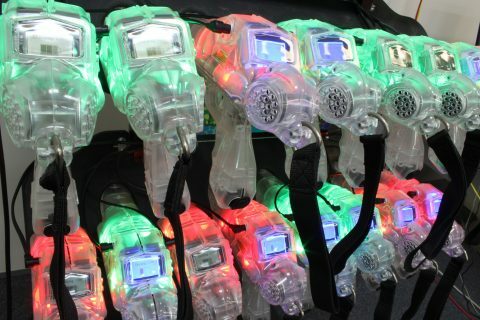 At the heart of any laser tag system are the phasers, and Begeara is no different – that’s why our Phasors are top of the line. Built with a sturdy polycarbonate shell and protected on the barrel with a rubber tip, Begeara uses the same tough plastic as Zone’s standard laser tag equipment. The clear shell allows phasers to glow vividly during play making them highly visible and attractive. A handy carry strap can be added to phasers allowing players to carry them over the shoulder and prevent dropping. Inside each phaser is an array of sensors. Tagging range is more than 20 metres (21 yards), giving Begeara plenty of flexibility. Begeara is ideally suited for indoor setups or small outdoor sites for kids. if you require larger outdoor applications please see our specialized range of products called Markston Sports. 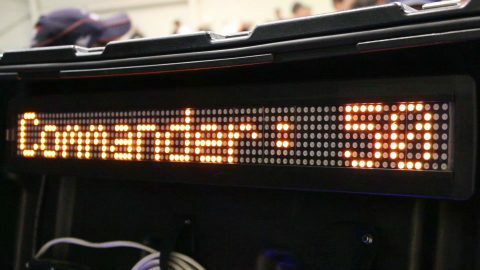 Each phaser also comes equipped with a laser, twin speakers and a graphical LED screen on the back showing players up-to-date scores during and at the end of games. The Full HD scoreboard is visually stunning and naturally generates crowds of excited kids, all gathered around. Absolutely perfect for semi-permanent venues such as soft-play centres. Boot smallEverything you need to run a Begeara game fits into the carry case, which can easily fit into the back of even a small car. The phasers, scoreboard, radio base station, charging unit and mission controller are all mounted neatly into the case. 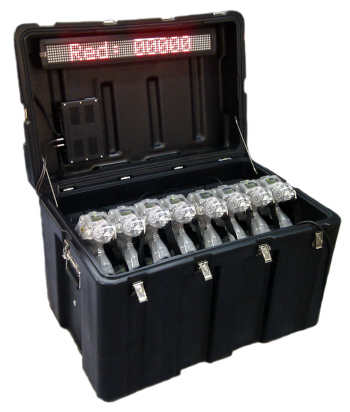 The custom made Carry Case is perfect for transporting the system. 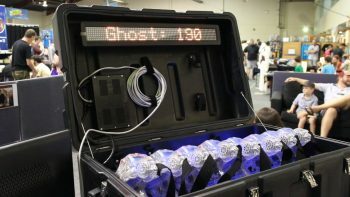 An entire laser tag system that fits into the boot of your car. For more information click here. 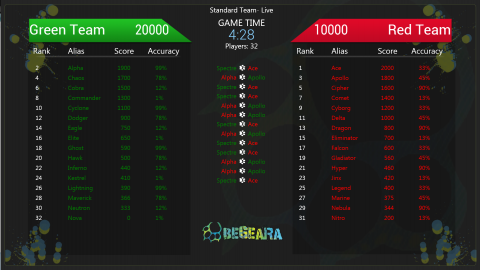 The Begeara Mission Controller and Key Fob start button allow you to control every aspect of the game. No PC is required. Plus, there’s a simple two-button start/stop Key Fob for operators to carry throughout the day.